A wave of disappointing third-quarter results and clinical trial failures by the largest biotechs in late October 2017 signaled to some the start of another market swoon, akin to the one that dented share prices starting in late 2015 through 2016. Should biotech stocks slide again for a prolonged period, investors won’t be the only losers: Biotechs will see their market capitalizations fall, reversing what had been a significant recovery over the past year among U.S. biotechs, reflected in the three key exchange-traded funds consisting of biopharma equities. As of October 26, the iShares Nasdaq Biotechnology Exchange-Traded Fund (IBB) stood at $314.31, up about 18.5% from $265.31 a year earlier. The First Trust New York Stock Exchange Arca Biotech Fund (FBT) rose even higher, about 36% year-over-year to $120.43, while the PowerShares Dynamic Pharmaceuticals ETF (PJP) increased only 8.1%, to $63.02. However, many of the largest biotechs outside the U.S. saw share prices stay steady or decline, explaining why the total market capitalization of the 25 companies on this year’s list remained flat at $1.007 trillion this year, same as the $1.007 trillion reported a year ago—though when measured in millions this year’s $1,006.98 million is just above 2016’s $1,006.96 million. Total market cap of GEN’s top 25 companies has yo-yoed in recent years, having climbed as high as a combined $1.225 trillion in 2015 and $990.89 billion market cap of the Top 25 Biotech Companies of 2014. The following is a list of 25 biotech companies, ranked by their market cap as of September 6, 2017 as furnished by the exchanges on which they trade their shares, or by other publicly available sources. The minimum market cap of GEN Top-25 biotech companies this time around is just over $10 billion, compared with $6.81 billion for the 25th ranked company last year, Seattle Genetics. This year’s number-25 is Perrigo, whose market cap came in at $11.9 billion, down 8% from last year’s list, which calculated market cap as of September 6, 2016. Chinese-based companies (including Hong Kong) accounted for an all-time high five of the top 15 companies ranked on this year’s list: The other four are, in alphabetical order, Huadong Medicine, Jiangsu Hengrui Medicine, Kangmei Pharmaceutical, Shanghai Fosun Pharmaceutical Group, and Yunnan Baiyao Group. 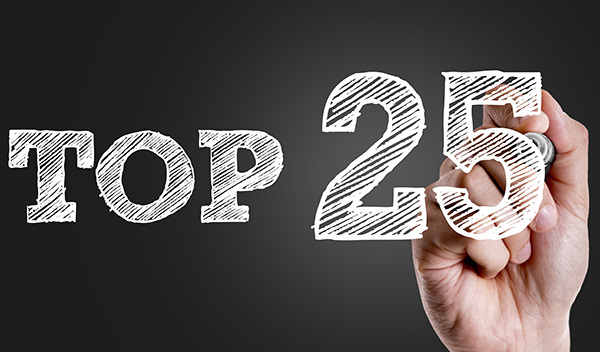 This year’s Top 25 includes two companies from Denmark (Genmab and Novo Nordisk), as well as one company each in Australia (CSL), Belgium (UCB), India (Sun Pharmaceutical Industries), Israel (Teva Pharmaceutical Industries), and South Korea (Samsung Bioepis)—which raised approximately $2 billion when it completed its initial offering in November 2016—and three companies domiciled in Ireland, albeit with substantial U.S. operations (Allergan, Perrigo, and Shire). That leaves just 10 of the Top 25 biotechs that are domiciled in the U.S. in addition to maintaining key operations Stateside. Finishing just off the list at number 26 was BGI Genomics, yet its ranking is still impressive given that it only went public on July 14, raising $250 million in its initial public offering.